Igor Almeida, Ph.D., professor of biological sciences, is the principal investigator (PI) of the award — a five-year grant worth $5,713,730 — from NIH's National Institute of Allergy and Infectious Diseases. 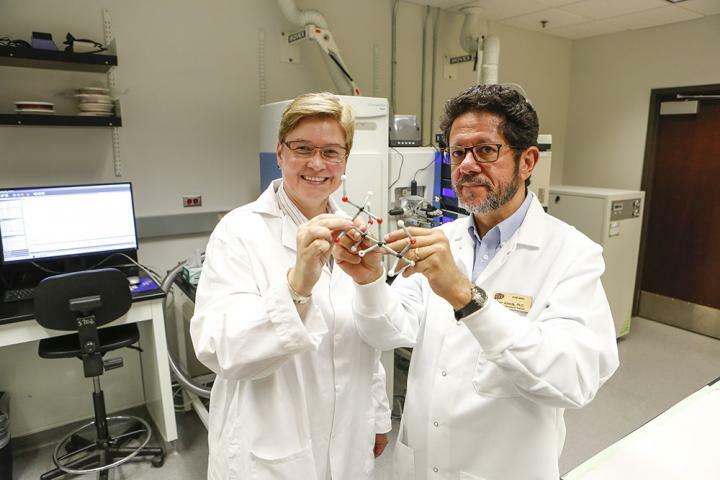 Almeida will work with Katja Michael, Ph.D., associate professor of chemistry and one of the grant's co-PIs, and several other investigators from the U.S., Bolivia and Spain. They will conduct a phase II clinical trial in Bolivia with new regimens of the drugs benznidazole and nifurtimox, and new biomarkers for the chemotherapy follow-up. This is the first clinical trial with UTEP as the leading institution. "This is an important validation of the work being conducted in the College of Science and at The University of Texas at El Paso," said Robert Kirken, Ph.D., College of Science dean. "This grant was awarded based on the merits of the science, of the work being conducted by Dr. Almeida and Dr. Michael to combat one of the world's most widespread parasitic infections that has been targeted by the Centers for Disease Control and Prevention for public health action." Chagas is a potentially life-threatening disease caused by the parasite Trypanosoma cruzi, which is transmitted to animals and people by insect vectors, popularly known as kissing bugs, and by blood transfusion, organ transplant, congenitally, and by contaminated foods and juices. The disease has been endemic to Latin America, affecting 6 million to 7 million people, but it is rapidly spreading through the United States, Europe and other nonendemic regions as a result of globalization. Yet, there is no fully effective drug and no clinical vaccine, although there have been several experimental efforts throughout the years. "We are, of course, very excited and grateful to receive this highly competitive award from NIH," Almeida said. "Developing new therapeutic approaches for Chagas disease is something we have been working on diligently for some time. This grant will allow us to move forward with those efforts with the hope of ultimately improving the efficacy and safety of treatment that can change the course of Chagas disease treatment worldwide." "We look forward to furthering our work on this potentially life-saving venture," Michael said. "This is a testament to the quality of research that is conducted here at UTEP. We are grateful to be able to continue our work and offer students a chance to take part in research that could impact the world."